Automotive Locksmith Allentown PA provided by LockTech24/7 is a one spot of a full auto locksmith services. In addition, booking your auto locksmith service with us can ensure your peace of mind that the job is done right. Auto transponder car keys are essential to keep your daily routine of getting in your car and start your engine on. Our automotive locksmiths Allentown PA are the specialists you need when trouble with your car as arisen. This includes; roadside assistance such as auto lockout, auto key replacement, and ignition lock repair. When you need auto lockout services in Allentown PA, you need a fast mobile automotive locksmith. At the same time, you probably want a professional auto locksmith and not a locksmith that only open car doors. We are able to open any vehicle, whether small or large. With this in mind, we also able to unlock tractors, camper trailers, RVs, and more. Nonetheless, we are also able to unlock luxury cars. Car Door Unlocking Allentown PA – We unlock cars of all years, brands, and models. No matter if you drive an old car, or a luxury car, we can unlock your car, in no time. Besides; we guarantee to open your car door with no damage at all. Tractor (18 wheelers) Door Opening Allentown PA – As we say, “size is no matter,” we can easily unlock and truck door, whether it is a 20 feet semi-trailer or 40 feet semi-trailer. Please call us whether you need to unlock an International truck, or Freightliner truck, we would be happy to assist you. Locked The Keys In The Trunk – This can happen to anyone, especially at the middle of shopping. A scenario of trunk lockout can happen when you back to your car with hands full of plastic bags. You open your trunk, leaving the bags in (with the key) and slamming the trunk down. Usually, when you suddenly realize, it’s too late. RV Door Unlocked Allentown PA – We know it can be very frustrating if you get locked out of your RV at the middle of a camping vacation. We offer 20 minutes response time to come and unlock your mobile home. Locked Out of a Camper Trailer Allentown PA – Same as RV, we can unlock your camper caravan wherever your parking in Allentown PA or surrounding areas. Above all, we’re very fast, so we can save your vacation. Automotive locksmith Allentown PA is just around the corner either you are in the city center of Allentown, West End of Allentown, or East of Allentown. Unfortunately, you can lose your car keys anywhere in Allentown. You can visit Dorney Park and lose your car key on a roller coaster, or you can lose your car key in Allentown Fairground live show. When you need an emergency automotive locksmith Allentown PA, you need us. Even though it is frustrating to lose or break your only car key, yet, this is not the end of the world. Please don’t panic, we have you covered. We are able to cut and program any car key, transponder key, laser cut key, and proximity key fobs. Car Key Cutting in Allentown PA – We cut all keys for all car brands and model. 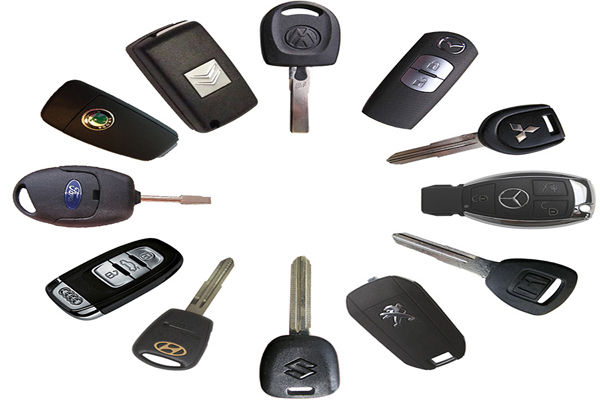 We can cut your car key whether you have a spare key in hand or you lost all your car keys. Don’t hesitate to call us if you need a car key replacement service. Duplicate Car Key in Allentown PA – We can duplicate your car key on the spot! With this in mind, duplicating your vehicle key is most of the time cheaper than cutting car key by code. 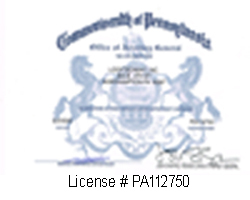 Transponder Car Key Program or Re-program in Allentown PA – We are able to program most car keys. Please call us if you need to program a new key to your vehicle or maybe need to re-program your old car key. Key Fobs Programming in Allentown PA | Proximity Smart Car Key Programming – The technology of transponder keys in general and key fobs, in particular, got so advanced that you must call a pro auto locksmith to program your key fob. We’re here to help, please call now. Broken Car Key Extraction in Allentown PA – In a case you need to extract a broken car key out of your car door lock or ignition lock, we can help. In addition, we can also cut and program a new car key, instead of the one that broken. Laser Cut High-Security Car Key Replacement in Allentown PA – We are able to cut laser cut car keys, as well as to program them to your vehicle. Let us know your car brand and model and we will do the rest. Repairing or replacing ignition locks for cars is one of our fastest and most efficient emergency auto locksmith services. Please call us if your ignition cylinder is hard to turn, especially if you’re stuck on the road. We are specializing in ignition switch repair or replace for almost all car brands and model. Wherever you need us in Allentown PA, we can be there for you as a short of 20 minutes. Our professional mobile auto locksmiths are ready 24 hours for your call. Any time you may need automotive locksmith Allentown PA, please call us.